Abacus Laser has been established in 2014 by Dr. Christoph Bollig. The first contracts were in the area of planning and consulting as well as maintenance and modification of lidar systems at the customers’ premises. In 2015, the company started the first hardware development for wind lidar. For this purpose, Abacus Laser moved into rooms at the Göttingen Technology and Start-up Centre (“Göttinger Technologie- und Gründerzentrum” – GöTec) and set up development laboratories there. 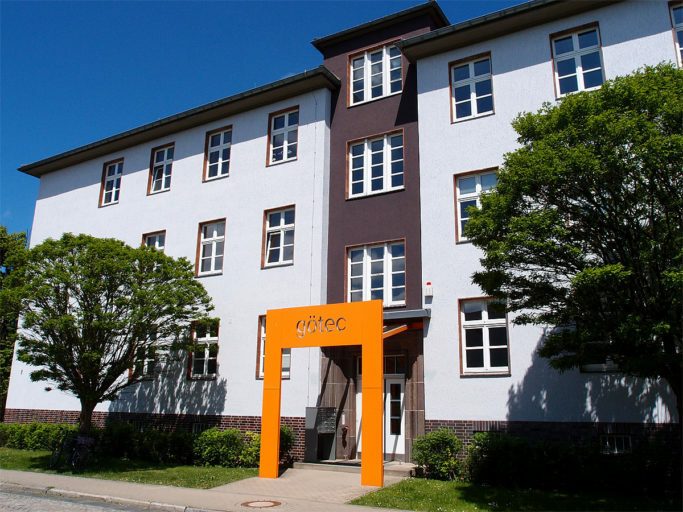 Within GöTec, the company found an ideal environment for cooperation with the adjacent University of Applied Sciences and Arts (“Hochschule für Angewandte Wissenschaft und Kunst” – HAWK ), an application centre of the Fraunhofer Institute for thin film and surface technology (IST) and many other innovative companies in the same building. A special focus of the company is the development of wind lidar modules to provide them as complete products (see Wind Lidar page). In addition to its own developments, Abacus Laser offers tailored customer-specific solutions and consulting in the areas of lasers, optical remote sensing (lidar) and optical measuring technology, as well as assistance in repair, maintenance and modification of existing lasers and lidar systems. The company has more than 25 years of experience in laser development, lidar and coherent detection and is proud of its globally unique competence in single-frequency pulsed lasers, lasers in the eye-safe wavelength range and coherent lidar. Abacus Laser is well-connected with national and international institutes. Successful projects have already been carried out for the German Aerospace Centre (Deutsches Zentrum für Luft- und Raumfahrt – DLR), the Leibnitz Institute for Tropospheric Research (Leibnitz-Institut für Troposphärenforschung) in Leipzig and the Fraunhofer Institute for Physical Measuring Technology (Fraunhofer-Institut für Physikalische Messtechnik – Fraunhofer IPM) in Freiburg, to name but a few. can achieve great things as each and every individual in our team unfolds his or her full potential. This is based on appreciation, respect and honest, open interaction. For the actual implementation we use the concept of Nonviolent Communication according to Marshall Rosenberg. This communication method offers an easily understandable and applicable structure for communication and self-management. It shows ways how everyone can stand up for their interests while still observing the needs of others. In this way, solutions are found that will work for everyone, will not leave behind losers and lead to long-term sustainable relationships. We were also inspired by “Reinventing Organizations” by Frederic Laloux. In his research he identifies wholeness, self-management and purpose as essential success factors for a company.